It was a fun-filled Sudbury Saturday Night for Wolves Hockey when they welcomed the Sarnia Sting for the one and only time this season. 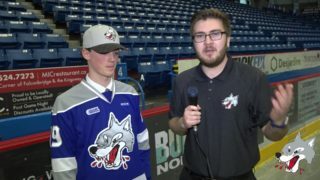 Blake Murray scored two goals while Adam Ruzicka scored the game winner against his former club to help the Wolves complete a 4-3 victory over Sarnia. 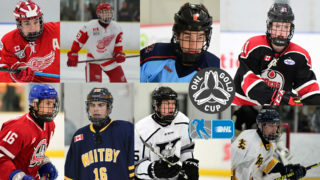 Wolves goal scorers included Drake Pilon, Blake Murray and Adam Ruzicka. Both Nolan Hutcheson and Quinton Byfield each added two assists. The home team also took home all Molson Canadian Three Stars of the Game. Blake Murray earned first star while Adam Ruzicka and Nolan Hutcheson earned second and third stars. Final shots on goal were 39-26 in favour of Sudbury. The Sarnia Sting took an early jump on the Wolves when Franco Sproviero scored a shorthanded goal on Ukko-Pekka Luukkonen to give the Sting a 1-0 lead just under the midway mark in the opening frame. The Wolves battled hard to match their goal by outshooting the Sting 12-10 but were unable to tie up the game before the end of period. 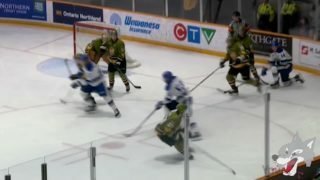 In the second period, Drake Pilon beat Cameron Lamour low to mark his 9th of the season which led to a tie game at one. 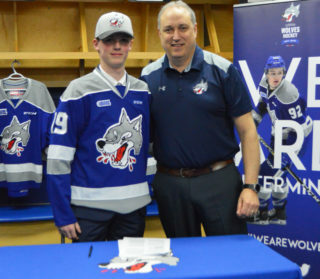 Blake Murray became a powerhouse when he scored two goals back-to-back that put the score at 3-1 in favour of the Wolves. Murray’s first goal came off a wrap-around pass from Nolan Hutcheson while his second was fired in from the slot. The Wolves led 3-1 after forty minutes. The Sting made it a one goal game when Hugo Leufvenius finished a nice crease feed from Ryan McGregor on their power play. Ryan McGregor brought the game to a tie at 3 when he beat Luukkonen with a short-handed wrap around goal. With just under four minutes remaining in the final frame, Adam Ruzicka potted the game winning goal when he scored a backhand goal off a centering pass from Owen Robinson. 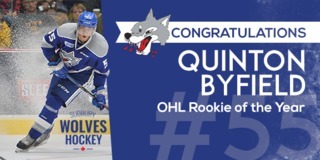 The Sudbury Wolves will look to keep things rolling when they pay a visit to the Soo Greyhounds on Wednesday at 7:07pm for Game 4 of the Bell Challenge Cup Series. 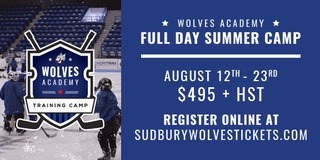 Fans can follow the action by tuning in to CKLU 96.7 or listening to mixlr.com/sudburywolves.